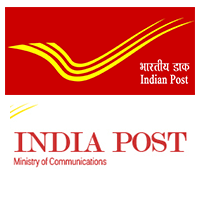 Odisha Postal GDS Recruitment 2019– Applications are invited by the Odisha Postal Circle for the posts of Gramin Dak Sevaks in the Odisha Postal recruitment 2019. Interested candidates can apply online from the starting date to apply which is 15th March 2019. There are a total of 4392 posts vacant in the recruitment which need to be filled. Candidates can initiate the application process through this page as we have given the link to apply online here on our page. The Odisha Postal notification came up on the official website of the board which is odishapost.gov.in. All interested contenders can apply on this website till the last date to apply online 15th April 2019. But prior to that, you are all advised to browse through the details of the recruitment, such as the Odisha Postal Circle Qualifications, Age limit and salary scale etc. The selection procedure for this recruitment is quite simple. The selection will be on the basis of the marks scored by the candidates during their 10th or Matriculation. So candidates are advised to submit their candidature with a duly filled application form onto the web address given below. In this article, we have given in detail how candidates can apply for this vacancy in the “How to apply online for the Odisha Postal GDS recruitment” section. Since there is no written exam for the recruitment, you have been informed that there will not be a requirement of creating pages for the Odisha Postal GDS Syllabus and admit card. However, the GovtJobIndia.com team will create a page for the Odisha Postal GDS Result so as to inform all candidates about the final selected candidates’ list. So, now that you have gone through the basic summary of this article, let us skim through the main content. 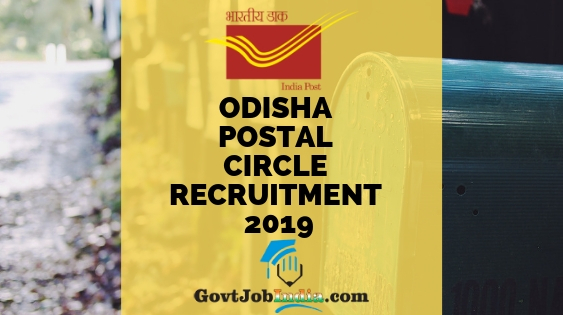 How to Apply for Odisha Postal Circle Recruitment 2019? Alternatively, you can go to the link given below. Make a new id in the India Post registration. After successfully making an account, start by filling your Odisha Postal Circle online application form. Hope you liked this article about the Odisha Postal Circle Recruitment 2019. All the information provided has been taken from the official notification PDF and candidates can cross check the details from the one linked above. Any doubts or requirements can be left in the comments section and we will get back to it as soon as possible. All your suggestions and needs are respected. Also, we would recommend that you share this article with all those who might be looking for such an amazing recruitment notification. The Gramin Dak Sevak Recruitment Odisha Advertisement will definitely be a game changer in anyone’s life. Additionally, we would request you to subscribe to our website GovtJobIndia.com for latest updates about the freshest govt jobs in the country. This will enable you to receive prompt and timely news about the newest govt jobs in India.